At the start of the year Jolimont Primary School teacher Emily Hamilton set her year 4/5 class a daunting challenge — to change the world. One student took up the challenge with aplomb. Tess Kirkaldy started her own mini business in order to raise money for her charity of choice. 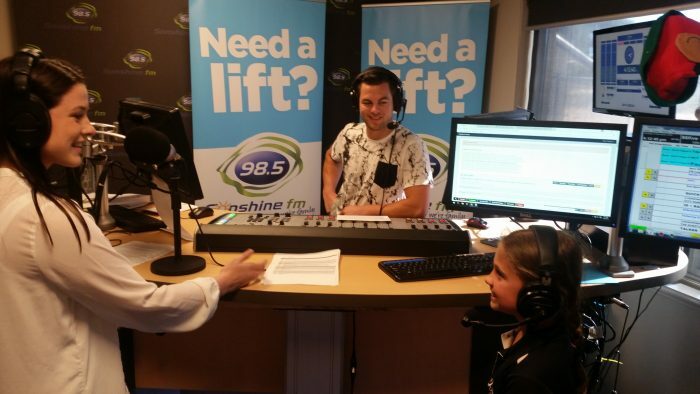 Miss Hamilton and Tess came into the studios to chat to Jeziel about the project. Jeziel Andersen (JA): Emily, what did you have in mind when you gave this assignment to your kids? Emily Hamilton (EH): Great question! So, the curriculum topic that we were focusing on this term in HAS (Humanities and Social Sciences) was economics, business civics and citizenship and I wanted to come up with a project that used all of these areas. I wanted them to write, to use their mathematics skills, I wanted them to use their science skills and their art skills. JA: …and change the world! JA: Now, Emily, you gave them a business idea or you know, said to them “let’s create a business and let’s go from there and sell a product”. Tell us a little bit about what the children decided to make their business and what products they had. EH: My school is a teacher-development school in the area of HAS, so what we use a guided enquiry approach; a very open-ended task. At the start I just wrote on the board: your task this term is to change the world. Let’s look into all the issues in our world, what are the things that are going on that we see as problems? Then we moved to what charity groups and associations are already combating and fighting against these issues? And now what can we do as 9 and 10-year-olds, how can we make a difference in our world? From there, I said – okay, we’ll use economics and business and we will endeavour to create products and create businesses. Whatever you want that to look like: create a business where you will sell something to your family and your friends and neighbours. We have very excited teachers in our school that are coming to buy products. From there we will give the money to these charities and (start) to change our world! Jeziel Andersen: So, right from the get-go the charities where there, that was set in stone? Because, I think, as a 9/10-year-old if I’d made some money it would be the hardest thing to go “I’ve just earned all that, now I’ve got to give it away? !” Tess, was it hard for you to give away the money you made? Tess Kirkaldy: Actually, we haven’t had this shop yet, so we haven’t made the money yet. But it’s tomorrow! The thing is, I think we’re all going to feel happy that we have given our money to a worthy cause that will use the money wisely and will help others in need. JA: What were your first thoughts when your teacher Emily, or I should say Miss Hamilton, put this on the board? JA: Mm, it’s a very daunting task. So, what was your business plan? TK: We have started off with – as Miss Hamilton said – looking into the charities and what other people have done to help. And then we got into our group and decided what charity we’re going for and what products we’ll make. Then we went to go on about advertising it, writing letters to everybody, writing pamphlets, writing business cards and stuff like that. JA: So, what product do you have? JA: Whatever they wanted, maybe some pocket money? (laughs) Lastly, what would you say to all the listeners out there that are like: “I want to change the world, but I don’t know how to do it.” What would you say? TK: I would probably say; it doesn’t matter where you are or who you are, it’s just a matter about how you go about it and knowing that you can actually do it. JA: Oh my, I thought I should give you a certificate! And, Emily, what would you say to all those people out there? As their teacher, I strongly disagree. I can see that if you empower and position kids to make a significant impact in this world, we’ll be left amazed. So, champion behind our kids and position them to do something great, because they will! JA: Yes, they will – from judging anything by Tess. 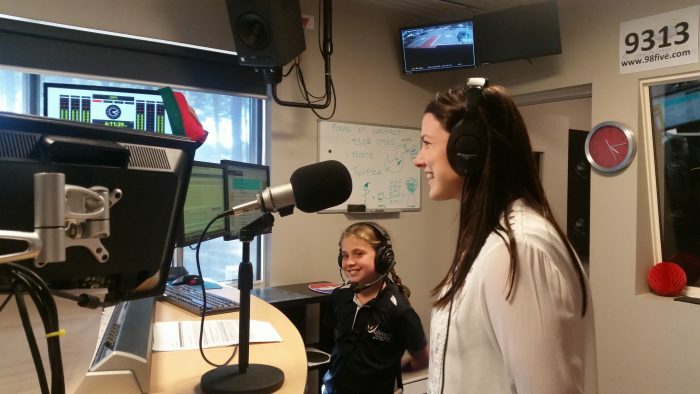 Emily and Tess, from Jolimont Primary School – thank you both for joining us and daring the whole family to initiate a change, to mobilise everyone for a good cause. 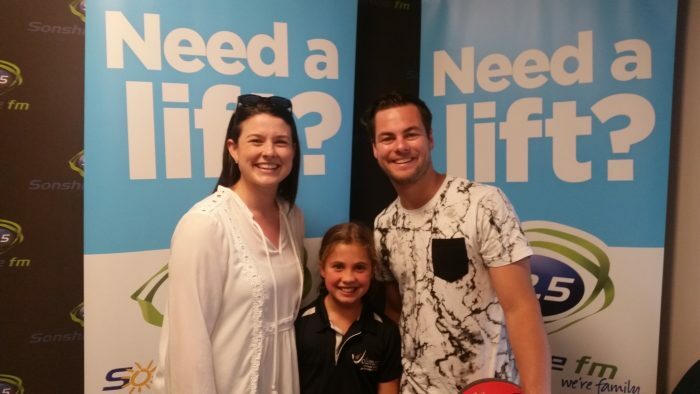 By Mike Atkinson | Drive Producer and Public Relations Officer Kirste and Morro took the Brekky show to Hilton Primary School, for the station’s fortnightly Free Coffee Friday, where 20..
Is the ‘juice worth the squeeze’?